The Western Red Cedar originates from western North America but is naturalised in Britain. 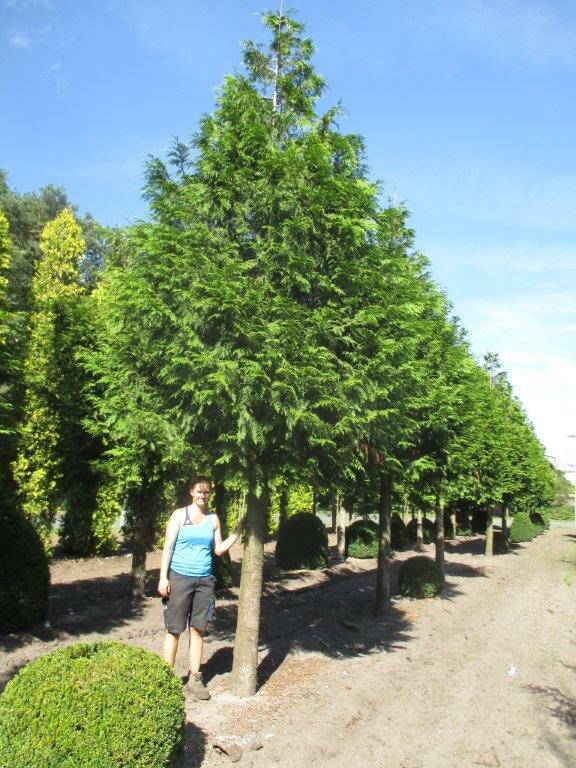 Thuja plicata is a fast-growing large evergreen tree with horizontal branches forming a loose, columnar habit, reaching an ultimate height of up to 35m. The species name plicata derives from the Latin word plicare, meaning “folded in plaits” or “braided,” a reference to the pattern of its small leaves. 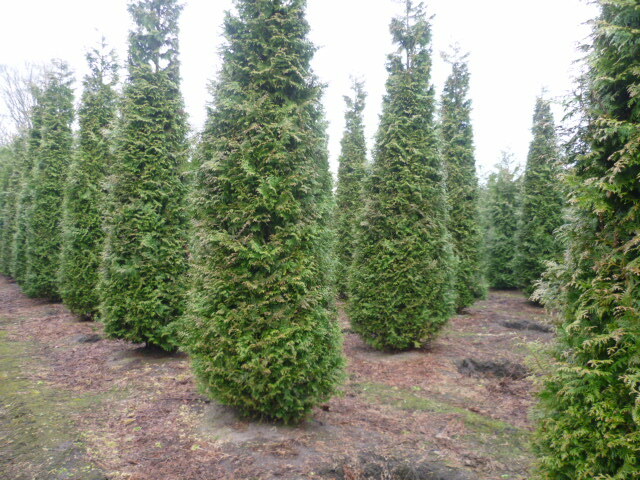 Its aromatic shiny, dark green leaves are needle-like and are held in large drooping sprays on spreading branches that curve upwards at the end. It also produces narrow cones, 1.8 cm long with a width of 0.5cm. 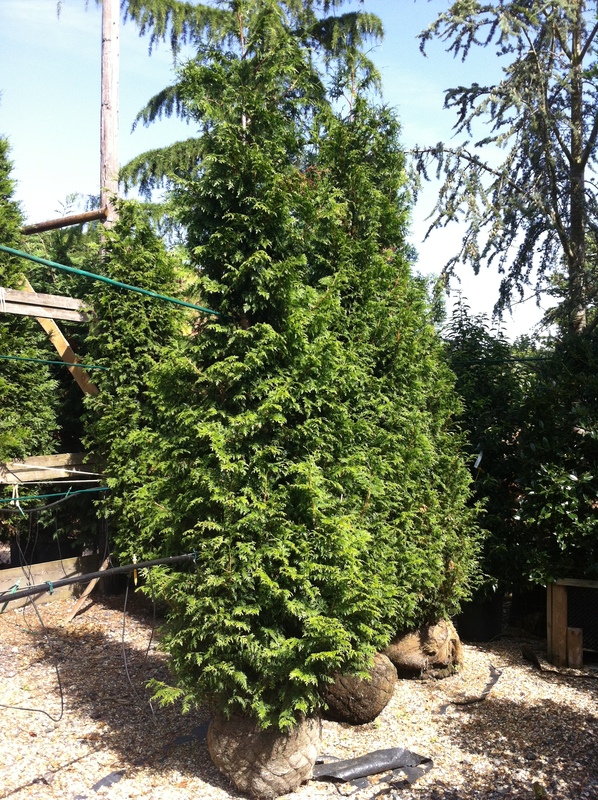 Its reddish-brown bark flakes off and traditionally was removed in strips and used for ropes and basketry. 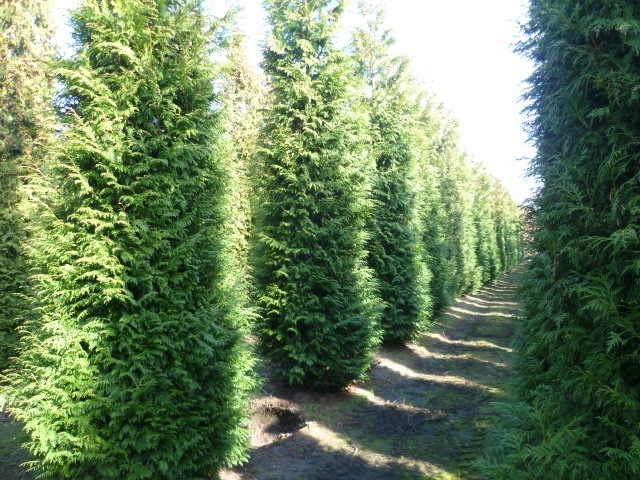 Suitable for: Due to its hardiness and dense foliage, this tree is ideal for hedges and privacy.